Canadians have until March 6 to vote for the top 5 Kraft Hockeyville finalist communities. TORONTO, March 3, 2012 /CNW/ - After receiving thousands of impressive submissions from passionate hockey communities across the country, the Kraft Hockeyville 2012 judging panel has narrowed the list of hopefuls to 15 communities that best exemplify community spirit, passion for hockey and originality. These finalists will now continue their quest to be named Kraft Hockeyville 2012, and have the opportunity to host a 2012-2013 NHL® Pre-Season Game in their community. ""It's truly inspiring to see so many hockey-loving Canadians rally together in creative ways to improve their communities,"" said Jack Hewitt, Vice President of Marketing Services, Kraft Canada. ""In the seven years that we've had Kraft Hockeyville, we've never seen such passion and creativity as demonstrated by these 15 finalists. We wish each community the best of luck in the next round!"" VOTING FOR THE TOP 5 Canadians now determine which of the Top 15 will make it into the Top 5 by voting for their favourite community via the following official voting mechanisms - online at www.krafthockeyville.ca or by calling 1-866-533-8066. Canadians can vote for their favourite community once per click or call. Voting via the web and phone is unlimited. Kraft Hockeyville partners strongly encourage voters to familiarize themselves with the competition rules and regulations and updated voting times and guidelines so they can adhere to the voting guidelines found at krafthockeyville.ca. The Kraft Hockeyville team will keep fans up-to-date throughout the competition. To view videos and receive insider updates, fans should join the Kraft Hockeyville Facebook Fan page, check out coverage on NHL.com and CBCSports.ca, follow @hockeyville on Twitter and visit the Kraft Hockeyville YouTube channel. DETERMINING THE WINNER Voting for the Top 5 communities will open on March 3, 2012 at 10:30p.m. ET, and will close on March 6, 2012 at 11:59 p.m. ET. Once the votes have been tallied, the Top 5 communities will be announced on CBC's HOCKEY NIGHT IN CANADA on March 17, 2012. Canadians will then return to the polls for a final vote to determine the winner of Kraft Hockeyville 2012. On Saturday, March 31, 2012, CBC's HOCKEY NIGHT IN CANADA crew will visit and broadcast live from each of the Top 5 communities. The winner of Kraft Hockeyville 2012 will be announced live that evening on CBC'S HOCKEY NIGHT IN CANADA. The winning community will host a 2012-13 NHL® pre-season game and receive $100,000 in arena upgrades courtesy of Kraft Canada. Four runner-up communities will each receive $25,000 for improvements to their local rinks from Kraft Canada. Kraft Canada has supported hockey for over 30 years through sponsorships and grassroots programs. Since its inception, the Kraft Hockeyville partners have provided over $1,000,000 in arena upgrade money, equipment, and local food bank donations. Supporting brands for Kraft Hockeyville 2012 include Kraft Dinner, Cracker Barrel, Chips Ahoy, Tassimo, Oreo, and Maxwell House. CBC, Hockey Night in Canada, and CBC and HOCKEYVILLE logos are official marks of the Canadian Broadcasting Corporation. NHL and the NHL Shield are registered trademarks of the National Hockey League. ©NHL 2012. All Rights Reserved. 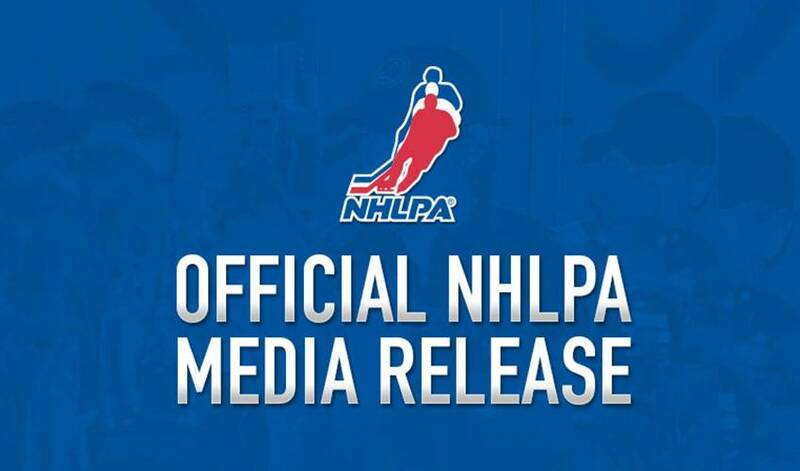 NHLPA and the NHLPA logo are trademarks of the NHLPA© and are used under license. All Rights Reserved.